that you are really going to enjoy looking at! I love the layers of colors and images...so dreamy! This set comes with several words and phrases that are easy to mix and match together. I think the sentiment embossed in white over vellum really elevates the wow factor. Beautiful water colored flowers, such soft subtle colors.....so dreamy! 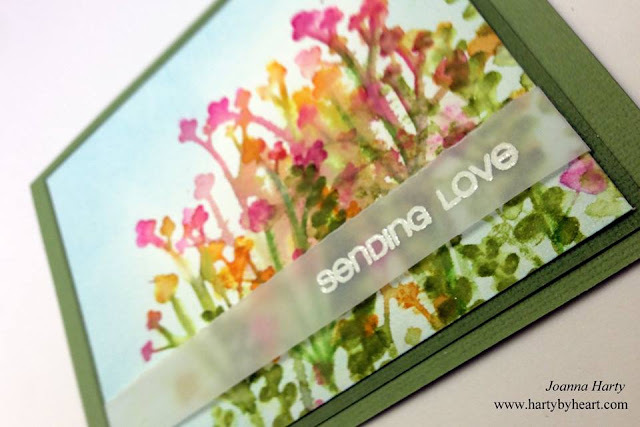 Love the Vellum sentiment strip! I am loving this! Such gorgeous colours and the watercolour look with the fab stamp is perfect! 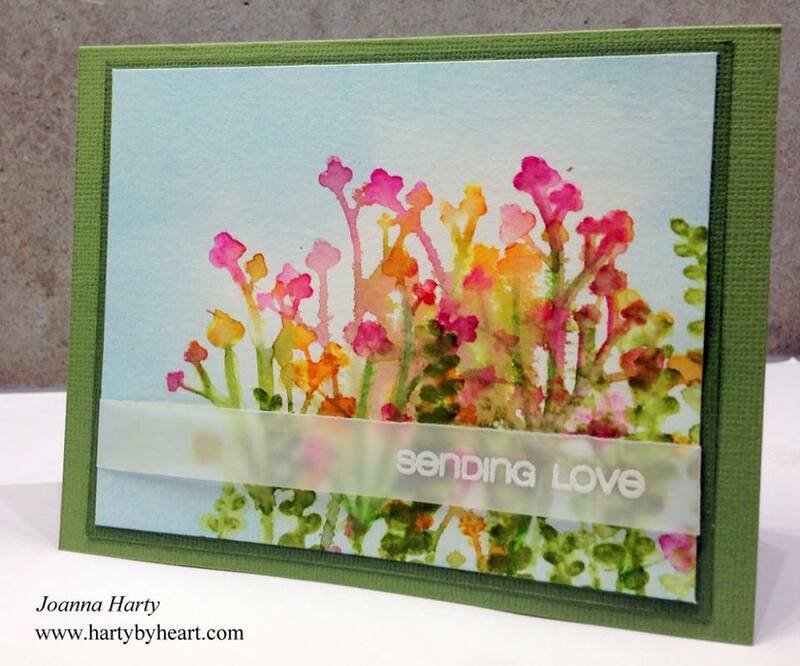 Beautiful card - gorgeous color - inspiring stamp. Is it possible to find out how she did this so we could attempt a similar one? I don't remember seeing so many different colors inked onto a stamp before and wondered how she did that. So pretty, love the soft watercolor!